From the “10 years of keetblog – reblogging: 2010”: two solid papers on the feasibility of rough ontologies, presented at DL’10 (logic stuff) and EKAW’10 (ontology engineering aspects). Short answer: not really feasible from a computational viewpoint. Notwithstanding, I did give it a try afterwards with ‘rOWL’ (SAICSIT’11 paper) before giving up on it, and other people do try, too (see citations of the DL and EKAW papers). Somewhere buried in the blogpost about the DL’10 workshop, I mentioned the topic of my paper  at the 23rd International Description Logics Workshop (DL’10), which concerned the feasibility of rough DL knowledge bases. That paper was focussed on the theoretical assessment (result: there are serious theoretical hurdles for rough DL KBs) and had a rather short section where experimental results were crammed into the odd page (result: one can squeeze at least something out of the extant languages and tools, but more should be possible in the near future). More recently, my paper  submitted to the 17th International Conference on Knowledge Engineering and Knowledge Management (EKAW’10) got accepted, which focuses on the ontology engineering side of rough ontologies and therefore has a lot more information on how one can squeeze something out of the extant languages and tools; if that is not enough, there is also supplementary material that people can play with. Ideally, they ought to go together in on paper to get a good overview at once, but there are page limits for conference papers and anyhow the last word has not been said about rough ontologies. For what it is worth, I have put the two together in the slides for the weekly KRDB Lunch Seminar that I will present tomorrow at, well, lunch hour in the seminar room on the first floor of the POS building. Keet, C. M. On the feasibility of Description Logic knowledge bases with rough concepts and vague instances. Proc. of DL’10, 4-7 May 2010, Waterloo, Canada. pp314-324. Keet, C. M. Ontology engineering with rough concepts and instances. 17th International Conference on Knowledge Engineering and Knowledge Management (EKAW’10). 11-15 October 2010, Lisbon, Portugal. Springer LNCS. From the “10 years of keetblog – reblogging: 2010”: while the post’s data are from 5 years ago, there’s still room for improvement. That said, it’s not nearly as bad as in some other countries, like the Netherlands (though the university near my home town improved from 1.6% to 5% women professors over the past 5 years). As for the places I worked post-PhD, the percent female academics with full time permanent contract: FUB-KRDB group 0% (still now), UKZN-CS-Westville: 12.5% (me; 0% now), UCT-CS: 42%. Today I participated in the Annual NACI symposium on the leadership roles of women in science, technology and innovation in Pretoria, which was organized by the National Advisory Council on Innovation, which I will report on further below. As preparation for the symposium, I searched a bit to consult the latest statistics and see if there are any ‘hot topics’ or ‘new approaches’ to improve the situation. The Netherlands used to be at the bottom end of the country league tables on women professors (from my time as elected representative in the university council at Wageningen University, I remember a UN table from ’94 or ‘95 where the Netherlands was third last from all countries). It has not improved much over the years. From Myklebust’s news item , I sourced the statistics to Monitor Women Professors 2009  (carried out by SoFoKleS, the Dutch social fund for the knowledge sector): less than 12% of the full professors in the Netherlands are women, with the Universities of Leiden, Amsterdam, and Nijmegen leading the national league table and the testosterone bastion Eindhoven University of Technology closing the ranks with a mere 1.6% (2 out of 127 professors are women). With the baby boom generation lingering on clogging the pipeline since a while, the average percentage increase has been about 0.5% a year—way too low to come even near the EU Lisbon Agreement Recommendation’s target of 25% by 2010, or even the Dutch target of 15%, but this large cohort will retire soon, and, in terms of the report authors, makes for a golden opportunity to move toward gender equality more quickly. The report also has come up with a “Glass Ceiling Index” (GCI, the percentage of women in job category X-1 divided by the percentage of women in job category X) and, implicitly, an “elevator” index for men in academia. In addition to the hard data to back up the claim that the pipeline is leaking at all stages, they note it varies greatly across disciplines (see Table 6.3 of the report): in science, the most severe blockage is from PhD to assistant professor, in Agriculture, Technology, Economics, and Social Sciences it is the step from assistant to associate professor, and for Law, Language & Culture, and ‘miscellaneous’, the biggest hurdle is from associate to full professor. From all GCIs, the highest GCI (2.7) is in Technology in the promotion from assistant to associate professor, whereas there is almost parity at that stage in Language & Culture (GCI of 1.1, the lowest value anywhere in Table 6.3). Elsewhere in ‘the West’, statistics can look better (see, e.g., The American Association of University Professors (AAUP) survey on women 2004-05), or are not great either (UK, see , but the numbers are a bit outdated). However, one can wonder about the meaning of such statistics. Take, for instance, the NYT article on a poll about paper rights vs. realities carried out by The Pew Research in 22 countries : in France, some 100% paid their lip service to being in favour of equal rights, yet 75% also said that men had a better life. It is only in Mexico (56%), Indonesia (55%) and Russia (52%) that the people who were surveyed said that women and men have achieved a comparable quality of life. But note that the latter statement is not the same as gender equality. And equal rights and opportunities by law does not magically automatically imply the operational structures are non-discriminatory and an adequate reflection of the composition of society. A table that has generated much attention and questions over the years—but, as far as I know, no conclusive answers—is the one published in Science Magazine  (see figure below). Why is it the case that there are relatively much more women physics professors in countries like Hungary, Portugal, the Philippines and Italy than in, say, Japan, USA, UK, and Germany? Recent guessing for the answer (see blog comments) are as varied as the anecdotes mentioned in the paper. Physics professors in several countries (Source: 5). Barinaga’s  collection of anecdotes of several influential factors across cultures include: a country’s level of economic development (longer established science propagates the highly patriarchal society of previous centuries), the status of science there (e.g., low and ‘therefore’ open to women), class structure (pecking order: rich men, rich women, poor men, poor women vs. gender structure rich men, poor men, rich women, poor women), educational system (science and mathematics compulsory subjects at school, all-girls schools), and the presence or absence of support systems for combining work and family life (integrated society and/or socialist vs. ‘Protestant work ethic’), but the anecdotes “cannot purport to support any particular conclusion or viewpoint”. It also notes that “Social attitudes and policies toward child care, flexible work schedules, and the role of men in families dramatically color women’s experiences in science”. More details on statistics of women in science in Latin America can be found in  and , which look a lot better than those of Europe. Bonder, in her analysis for Latin America , has an interesting table (cuadro 4) on the changing landscape for trying to improve the situation: data is one thing, but how to struggle, which approaches, advertisements, and policies have been, can, or should be used to increase women participation in science and technology? Her list is certainly more enlightening than the lame “We need more TV shows with women forensic and other scientists. 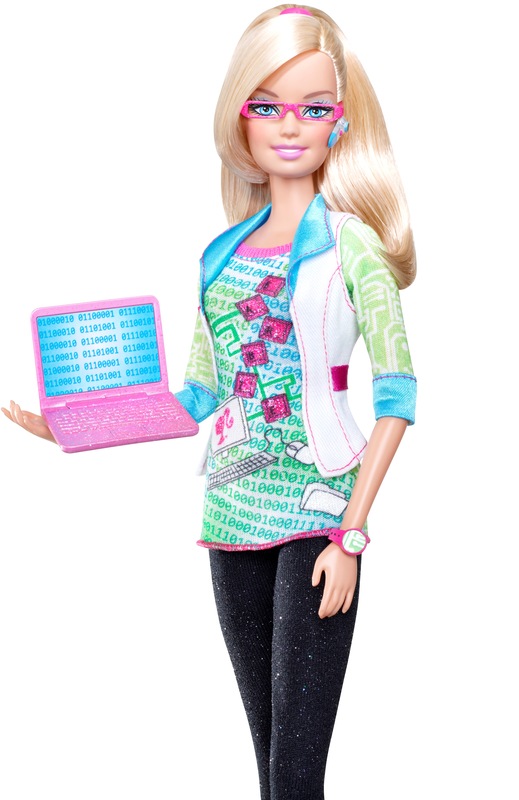 We need female doctor and scientist dolls.” (says Lotte Bailyn, a professor at MIT) or “Across the developed world, academia and industry are trying, together or individually, to lure women into technical professions with mentoring programs, science camps and child care.”  that only very partially addresses the issues described in . Bonder notes shifts in approaches from focusing only on women/girls to both sexes, from change in attitude to change in structure, from change of women (taking men as the norm) to change in power structures, from focusing on formal opportunities to targeting to change the real opportunities in discriminatory structures, from making visible non-traditional role models to making visible the values, interests, and perspectives of women, and from the simplistic gender dimension to the broader articulation of gender with race, class, and ethnicity. The organizers of the Annual NACI symposium on the leadership roles of women in science, technology and innovation provided several flyers and booklets with data about women and men in academia and industry, so let us start with those. Page 24 of Facing the facts: Women’s participation in Science, Engineering and Technology  shows the figures for women by occupation: 19% full professor, 30% associate professor, 40% senior lecturer, 51% lecturer, and 56% junior lecturer, which are in a race distribution of 19% African, 7% Coloured, 4% Indian, and 70% White. The high percentage of women participation (compared to, say, the Netherlands, as mentioned above) is somewhat overshadowed by the statistics on research output among South African women (p29, p31): female publishing scientists are just over 30% and women contributed only 25% of all article outputs. That low percentage clearly has to do with the lopsided distribution of women on the lower end of the scale, with many junior lecturers who conduct much less research because they have a disproportionate heavy teaching load (a recurring topic during the breakout session). Concerning distribution of grant holders in 2005, in the Natural & agricultural sciences, about 24% of the total grants (211 out of 872) have been awarded to women and in engineering & technology it is 11% (24 out of 209 grants) (p38). However, in Natural & agricultural sciences, women make up 19% and in engineering and technology 3%, which, taken together with the grant percentages, show there is a disproportionate amount of women obtaining grants in recent years. This leads one to suggest that the ones that actually do make it to the advanced research stage are at least equally as good, if not better, than their male counterparts. Last year, women researchers (PIs) received more than half of the grants and more than half of the available funds (table in the ppt presentation of Maharaj, which will be made available online soon). Mrs Naledi Pandor, the Minister for Science and Technology, held the opening speech of the event, which was a good and entertaining presentation. She talked about the lack of qualified PhD supervisors to open more PhD positions, where the latter is desired so as to move to the post-industrial, knowledge-based economy, which, in theory at least, should make it easier for women to participate than in an industrial economy. She also mentioned that one should not look at just the numbers, but instead at the institutional landscape so as to increase opportunities for women. Last, she summarized the “principles and good practice guidelines for enhancing the participation of women in the SET sector”, which are threefold: (1) sectoral policy guidelines, such as gender mainstreaming, transparent recruiting policies, and health and safety at the workplace, (2) workplace guidelines, such as flexible working arrangements, remuneration equality, mentoring, and improving communication lines, and (3) re-entry into the Science, Engineering and Technology (SET) environment, such as catch-up courses, financing fellowships, and remaining in contact during a career break. Dr. Romilla Maharaj, executive director for human and institutional capacity development at the National Research Foundation came with much data from the same booklet I mentioned in the first paragraph, but little qualitative analysis of this data (there is some qualitative information). She wants to move from the notion of “incentives” for women to “compensation”. The aim is to increase the number of PhDs five-fold by 2018 (currently the rate is about 1200 each year), which is not going to be easy (recollect the comment by the Minister, above). Concerning policies targeted at women participation, they appear to be successful for white women only (in postdoc bursaries, white women even outnumber white men). In my opinion, this smells more of a class/race structure issue than a gender issue, as mentioned above and in . Last, the focus of improvements, according to Maharaj, should be on institutional improvements. However, during the break-out session in the afternoon, which she chaired, she seemed to be selectively deaf on this issue. The problem statement for the discussion was the low research output by women scientists compared to men, and how to resolve that. Many participants reiterated the lack of research time due to the disproportionate heavy teaching load (compared to men) and what is known as ‘death by committee’, and the disproportionate amount of (junior) lecturers who are counted in the statistics as scientists but, in praxis, do not do (or very little) research, thereby pulling down the overall statistics for women’s research output. Another participant wanted to se a further breakdown of the numbers by age group, as the suspicion was that it is old white men who produce most papers (who teach less, have more funds, supervise more PhD students etc.) (UPDATE 13-10-’10: I found some data that seems to support this). In addition, someone pointed out that counting publications is one thing, but considering their impact (by citations) is another one and for which no data was available, so that a recommendation was made to investigate this further as well (and to set up a gender research institute, which apparently does not yet exist in South Africa). The pay-per-publication scheme implemented at some universities could thus backfire for women (who require the time and funds to do research in the first place so as to get at least a chance to publish good papers). Maharaj’s own summary of the break-out session was an “I see, you want more funds”, but that does not rhyme fully with he institutional change she mentioned earlier nor with the multi-faceted problems raised during the break-out session that did reveal institutional hurdles. Prof. Catherine Odora Hoppers, DST/NRF South African Research Chair in Development Education (among many things), gave an excellent speech with provoking statements (or: calling a spade a spade). She noted that going into SET means entering an arena of bad practice and intolerance; to fix that, one first has to understand how bad culture reproduces itself. The problem is not the access, she said, but the terms and conditions. In addition, and as several other speakers already had alluded to as well, she noted that one has to deal with the ghosts of the past. She put this in a wider context of the history of science with the value system it propagates (Francis Bacon, my one-line summary of the lengthy quote: science as a means to conquer nature so that man can master and control it), and the ethics of SET: SET outcomes have, and have had, some dark results, where she used the examples of the atom bomb, gas chambers, how SET was abused by the white male belittling the native and that it has been used against the majority of people in South Africa, and climate change. She sees the need for a “broader SET”, meaning ethical, and, (in my shorthand notation) with social responsibility and sustainability as essential components. She is putting this into practice by stimulating transdisciplinary research at her research group, and, at least and as a first step: people from different disciplines must to be able to talk to each other and understand each other. To me, as an outsider, it was very interesting to hear what the current state of affairs is regarding women in SET in South Africa. While there were complaints, there we also suggestions for solutions, and it was clear from the data available that some improvements have been made over the years, albeit only in certain pockets. More people registered for the symposium than places available, and with some 120 attendees from academia and industry at all stages of the respective career paths, it was a stimulating mix of input that I hope will further improve the situation on the ground. Jan Petter Myklebust. THE NETHERLANDS: Too few women are professors. University World News, 17 January 2010, Issue: 107. Marinel Gerritsen, Thea Verdonk, and Akke Visser. Monitor Women Professors 2009. SoFoKleS, September 2009. Helen Hague. 9.2% of professors are women. Times Higher Education, May 28, 1999. Victoria Shannon. Equal rights for women? Surveys says: yes, but…. New York Times/International Herald Tribune—The female factor, June 30, 2010. Beverley A. Carlson. Mujeres en la estadística: la profesión habla. Red de Reestructuración y Competitividad, CEPAL – SERIE Desarrollo productivo, nr 89. Santiago de Chile, Noviembre 2000. Gloria Bonder. Mujer y Educación en América Latina: hacia la igualdad de oportunidades. Revista Iberoamericana de Educación, Número 6: Género y Educación, Septiembre – Diciembre 1994. Katrin Benhold. Risk and Opportunity for Women in 21st Century. New York Times International Herald Tribune—The female factor, March 5, 2010. Anon. Facing the facts: Women’s participation in Science, Engineering and Technology. National Advisory Council on Innovation, August 2009. Yay, also the paper on my student’s implementation work of her MSc thesis made it into a journal paper: the Repository of Ontologies for MULtiple Uses (ROMULUS) populated with mediated foundational ontologies is now on online-first  with the Journal on Data Semantics. It will appear in a special issue on extended and revised papers of MEDI’13, edited by Alfredo Cuzzocrea. Although I have mentioned the beta release of the repository earlier and noted as well that the student, Zubeida Khan, has won the CSIR prize of best Masters, that was 1-2 years ago and more has happened in the meantime. From the technological viewpoint, there are more features available now than in the beta and MEDI’13 releases, such as the automated foundational interchangeability , and there’s more detail on the technologies used as well as an extended EER diagram for ontology storage and annotation, and it has an updated comparison with other repositories and usage statistics. Overall, it is the first attempt to realise the vision of an ontology library that was posed some 12 years ago in WonderWeb Deliverable D18, and it thus ended up having more features than those D18 requirements for a foundational ontology library. Have a look at ROMULUS online. From a theoretical viewpoint, besides now having a book chapter on the mappings between the foundational ontologies , the ‘storyline’ and need for it—known very well in ontology engineering already—has been framed into one where the repository of the foundational ontologies is also needed for ontology-driven conceptual data modelling. Why is that so? There is an increasing amount of results on ontology-driven conceptual modelling (see ER’15 proceedings), which avails of foundational ontologies, such as UFO. There are multiple extensions to the conceptual modelling languages based on insights from ontology, and when they are based on different foundational ontologies, one can’t pick-and-choose anymore as there may be incompatibilities in how things are represented. Likewise, choosing for one foundational ontology limits, or enables, one to model one thing but not another. For instance, some do have ‘substance’ or ‘amount of matter’ (wine, alcohol and the like), others do not, so that there is, in theory, no place for such things in one’s conceptual data model. That’s not good—or at least complicates matters—for an information system or database that needs to store data about, say, a food processing plant or animal fodder. The paper presents more of such issues and how ROMULUS helps addressing them. Also, just like that ROMULUS can help choosing the most appropriate foundational ontology for ontology engineering and help analysing the foundational ontologies without reading umpteen papers on it first, it can do so for the conceptual modeller. Be this though ONSET or the web-based querying of the ontologies and their alignments. Finally, in case you think there are shortcomings to the repository to the extent you feel the need to develop your own one: the paper provides ample material on how to build one yourself. If you don’t want to go through that trouble, then contact Zubeida or me for the feature request, and we’ll try to squeeze it in with the other activities. …and no, we’re not worried that we won’t get our bonus this year because as academics we don’t get any bonuses anyway. Just to answer two recent ‘interesting’ questions in these times of nation-wide student protests in South Africa. With everything that’s been going on here, writing a report on attending the 34th International Conference on Conceptual Modelling (ER’15) ended up lower on the list of activities, and by now it’s almost a month ago, so I’ll let that slip by, despite that it was great and deserves attention. At the time I was in Stockholm for ER’15 and afterward a week at FUB in Bolzano (Italy), nation-wide coordinated student protests were going on, and still are albeit with fewer participants. As most people who heard of it at ER, in Bolzano, and collaborators only saw a brief international news item of the violence—police using stun grenades, rubber bullets—and assumed they were some typical run-of-the-mill student protests that happen also in other countries: I think this one is different from others, and more complex. Fundamentally, the protests are about the (mostly) young generation expressing that post-apartheid South Africa hasn’t improved nearly enough—neither the societal nor the educational nor the economic dimension—and demanding a better deal. So, here’s a coloured version of some of it, mainly intended for a non-South African readership to get a bit of an idea what’s going on and put some figures into perspective w.r.t. what I assume most of you are more familiar with. I could try to put up the pretence of objectivity, but I’m probably not. Some useful sources are news24, for quick short updates of events as they unfold, and Groundup, for some in-depth articles. Over the past years, government funding of universities has been diminishing, with the shortfall being made up by yearly fees increases, which is an unsustainable financial model and it increasingly excludes more and more qualifying students to study at a university, especially since the student financial aid scheme hasn’t kept up and the fees increases are higher than inflation rate and wage increases that are 4-7% per year. The scheduled 10% for next year was the last straw. After the first week of protests, they managed to get a commitment from Zuma on Oct 23 for 0% fees increase for next year. While this is more than we achieved back in the ’90 in the Netherlands when we were protesting against fees increases (among other things), at that time, anyone who qualified still could get just about sufficient funds to attend university for 5 years to get a (Bachelors +) Masters degree (without it, I probably wouldn’t have gone to the university either). The latter is not the case here, not even close: the scholarship (‘studiebeurs’ in NL) then there amounts to about 100000 Rand a year here now, then with the average monthly salary of 17000K gross, that’s about half a parent’s net income/year for one year of study. But the average wage is not the kind of amount that leaves extras for saving. Apparently, for a nuclear-family household, one needs a sustained income of at least 500000/year to have enough to save over the years to pay for going to university—yes, at least twice the ‘jan modaal’/average income to be able to afford it. 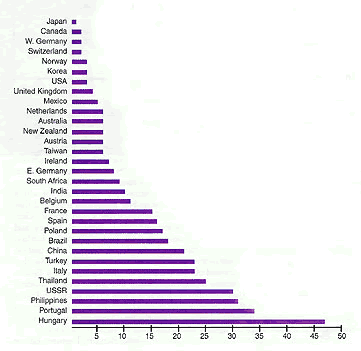 With South Africa having a shameful Gini coefficient of 0.71, go figure how many are in that category. This was only the first core demand. Here, as in many universities across the world, there has been a drive for outsourcing of certain types of work—cleaning, garden maintenance and the like—in a drive for pushing down overhead costs. This might have looked good on the balance sheets at the time when the decisions were made, but the ‘collateral damage’ was that the outsourced workers did not get the benefits anymore that they had as employees of the university. Notably, the fee rebate for themselves and their family members. So, this is a double whammy for workers, making it even harder for their kids to go to university, for having to pay the full fee and for generally being on the really low pay scales that make attending university totally unaffordable and out of reach. At various points in or at the end of the second week of the protests, several universities (including UCT) committed to insourcing: when the contracts with the outsourcing companies terminate, they’ll become university employees again, with the fee rebate benefits. That’s not all. A dastardly practice that cash-strapped universities resort to in a desperate attempt to get the unpaid or only partially paid fees from students (down to the last cent), is that when students still have outstanding fees to pay, they won’t get their final exam results and won’t be allowed to graduate. But that having-completed-the-degree-but-no-parchment-to-show-for limbo is precisely preventing students to get decent-paying jobs, or even a job at all, making it harder to pay up the remaining debt; double whammy here as well. Hence, the demand of clearing such historical debt, or at least to let them graduate, so they can get a job and start paying back soon (2? 3? 5? years) thereafter. The latter is quite common in other countries, including the country where I studied. (Had they not have that pay-back-later system, many a door would have remained closed to me as well (I had to borrow money for 4 months because of delays due to a serious sports injury near the end of my studies—after the 5 years funded, see above)). This issue is mostly still unresolved in South Africa. To relate to elsewhere: there’s many a sob story about graduates in the USA with “crippling college debts”, but what’s really crippling for one’s career is being stuck with the debt but not having the proof of the degree even though you satisfied its requirements. There’s some 25-30% unemployment rate in South Africa, and a degree paper really does make a difference. Fair play to them, and I hope they achieve the demands. I would be very hypocritical if I were to not support them, as I have benefited from those things they want to have, and I wish that all countries would have the system we had back in the 1990s. True, I was then at one of the fronts of protests against the breakdown of it, and what we had certainly was not perfect. However, compared to what it has descended into in the Netherlands and other EU countries, and the lamentable state of the funding systems (well: the lack thereof) in most countries of the world, it almost sounds like an education paradise nowadays: finish highest level of (fee-free) secondary school, sign up for a degree at a university of your preference, get enough funding for 5 years that covers fees, books, living expenses, and free public transport (condition: >=25% courses passed/year). It should be at least like that, if not better, everywhere. It is not just about access to higher education, though. Once in, there’s still the so-called ‘legacy of apartheid’ to put up with, which many a student wants to see changed. This sneer-quoted term surely includes the racism, which is, perhaps, the only thing non-SA readers from my generation and older may think of. Perhaps less obvious are the issues of the “dead white men”-infested curricula, especially in the humanities, or, to phrase it positively: how to change a Euro-centric curriculum to one that is more relevant to Africa? There are notable African writers, philosophers, etc etc., but they don’t feature much now. There’s the oppressive space and naming of buildings, with the #RhodesMustFall movement but one instance of trying to change this (tl;dr: Cecil Rhodes was an über-badass among the badass colonisers, yet having a statue in a central place on campus, which has been removed earlier this year). Government funding post-1994 has focussed primarily on making the lives of the poorest-of-the-poor less hard, by building houses, working on providing potable water, electricity, and the like. Poor students somehow were not allowed to complain, for having the privilege of going to university. However, really scraping by is hard. That’s not of the type ‘just about enough’ I mentioned above, where we could afford cheap food, clothing, and housing—the basic necessities in Maslov’s pyramid. For instance, at the university I worked before (UKZN), a call to employees was put out in exam time at the end of the year to donate money so that the destitute students would be able to get a meal/day in exam time, as the alternative for them was no food at all. It was also not unusual that students were locked out of residence for not having paid (an unlocked lecture hall serving as make-shift sleeping place). The current protests created a space where such hardships were allowed to be voiced. Then there’s the crazy police violence. It was not part of the original narrative for the protests, but it has become part of it. Universities here have a tendency to call in the police when there are protests. Once they’re in, they take over. Unpredictable horses and ‘refreshing’ water cannons is one thing (I know of those), and even tear gas (experienced that too), but rubber bullets (!) and the (wtf!) stun grenades, that’s of a yet different level of dastardliness. To add insult to injury, the police spokesperson even declared to be proud/satisfied that the police had acted with restraint. Compared to the massacre that Marikana was (police killed 34 strikers), I guess so, yes, but that certainly ought not to be the yardstick to measure up against. Although there are reports that some more recent protests did not remain peaceful from the protester-side, they were in the early days when the police provoked with the violence. On a related note: I heard that during the protests, academics on the frontline couldn’t stop the police from charging, but a ‘buffer’ of white students could make them hesitate at least. I’ll leave that fact for you to chew on. This is not all, but, for now, it’ll have to do for this item, lest the blog post ends up way to long. On the whole, I have the impression that the majority of academics have been supportive of the initial students demands, if not from day one then in hindsight. There have been supportive open letters signed by lots of academics, and a bunch joined in the protests. I cannot recall many supportive statements explicitly from staff/academics unions, however, but this may also be due to news reporting, or perhaps there’s room for a more progressive union. Some are pushed out of their comfort zone and feel it’s a bit scary but ok actually, other desperately want to remain in their comfy bubble and are afraid. Some academics are yelled at for being just too melanin-deficient that they could not possibly support the cause (even when they actually do), but are perceived to be part of the problem; this kind of over-generalising isn’t the way to get more academics on board to support the students’ cause. There’s the term coconut (black on the outside, white on the inside); what would the reverse be? The ‘schoolkrijt’ liquorice sweets they sell at Pick ‘n Pay (white on the outside, some brown-ish mixture on the inside)? Or, better, just human. UCT was closed for two weeks due to the protests, which was a management decision that most academics did not like. Not for disruption of the daily routine, but for the notion of closing that space where ideas are posed, discussed, analysed, debated, contested, and possibly some solutions found. It is not at all clear whether admin staff and academics will have to cough up the shortfall due to government’s insufficient compensation of the 0% and the insourcing, so there may be an aftermath match there. The tl;dr of many articles: education is a public good, not an individualist benefit, so society should pay, and a university is not a corporation. At the same time, we’re devising a range of scenarios to cope with changing situations (like how to handle exam disruption), inform students, adjust things (e.g., rescheduling of revision lectures, the content of the actual exam papers, setting an extra exam) and so on. This takes time away from research and from other activities academics do. Which brings me back to the post’s title: yes, our work is affected in that we don’t get as much done as we usually do, and things slip through (deadline missed, belated response to a student query). In the grand scheme of things, they are minor compared to your (from abroad) typesetted-paper-chasing/article-review-invitation/…, and I hope you can bear with the occasional slight delay in my response (for the benefit of SA). provided you chose the right exam subjects—e.g., to study computer science, you need maths, to study physics you needed physics as subject in your high school exam—and with only medicine, physio, and dentistry were numerus fixus.